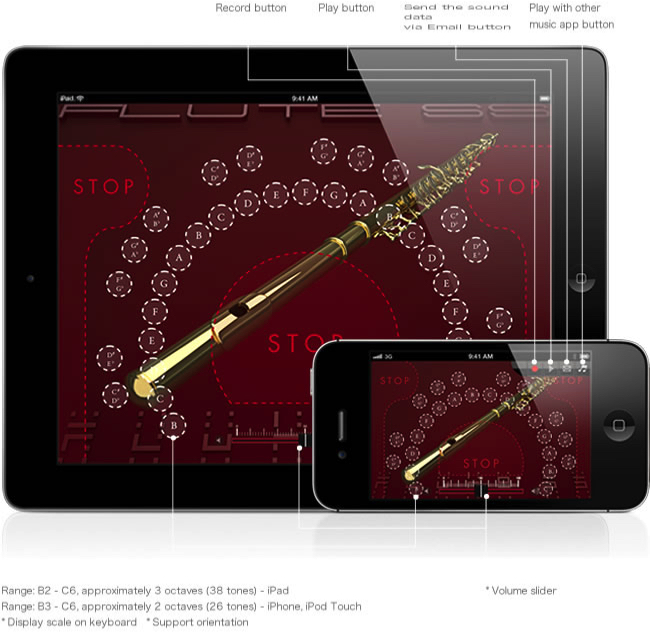 FluteSS is designed to allow you to easily play the flute with a single finger. 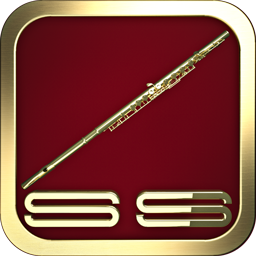 Unlike the actual flute, you don't need to have a large lung capacity, but you will be able to play it just by touching the inner side of the white dotted line. With FluteSS, you can start playing the flute right away and enjoy its sound whenever you want, wherever you are! Added a volume slider at the bottom center of the screen in order to fix the problem that fade out doesn't work while you can play staccato notes with the stop button. When you fade the audio out, please make sure to tap the stop button. Now you can select the audio file format when recording. If you want to send a file via email, record at "22kHz / 8 bit" to reduce the file size.